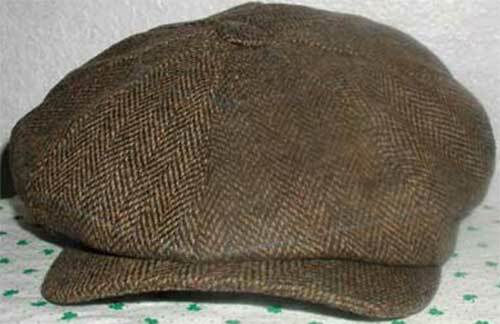 These Irish flat caps are sized for the American market: Small = 6 7/8 and XXL = 7 7/8. This woolen Irish cap with panels is known as an eight piece cap; this traditional Irish flat cap is made of pure lamb's wool and features a snap brim. The Irish Gift House only offers this hat in limited sizes.